Purpose At Work: How Wrangler Is Creating The Next Generation Of Sustainable Fashion – Thrakika Ekkokistiria S.A. The global fashion industry has a large environmental footprint. In fact, it’s responsible for 8% of all greenhouse gas emissions and nearly 80 billion metric tons of water per year. There are over 8,000 different chemicals utilized by apparel makers to produce clothing. What’s more, consumption is set to increase by over 60% by 2030. Global fashion leaders must take on sustainability to meet growing demand and its impact on earth’s finite resources. By tackling the industry’s biggest challenges, Wrangler is carving out a competitive advantage and helping other apparel makers improve industry practices. The company is focusing its efforts on a circular supply chain and instead of adhering to fast fashion trends, Wrangler has its sights on a cradle to cradle supply chain. In this way, the brand hopes to reduce the toll of fashion on the environment and preserve resources for generations to come. Supply chain management is at the core of Wrangler’s sustainability plan. The brand is investing deeply in finding new ways to improve soil health, water usage and dying techniques, and to nurture the next generation of farming that is the lifeblood of the apparel industry. Soil health is critical to agricultural productivity and sustainability. Wrangler relies on the soil and the farmers that cultivate it to supply them with raw materials like cotton, necessary to make clothing. “Preserving and enhancing the health of our soil is critical and necessary to the preservation of America’s denim heritage and future generations of people who work the land,” wrote Roian Atwood, Wrangler’s Director of Sustainability. Wrangler works with scientists and specialists to enhance soil health. The brand is implementing techniques like no-till, cover crops, and crop and grazing rotations to supplement organic matter and microbial organisms in the ground. These practices lead to higher yields for farmers and reduce associated carbon emissions. They also help preserve natural habitats and biodiversity.Wrangler is also sharing its internal findings with future leaders. In partnership with the National Future Farmers of America (FFA), North Carolina, and the USDA’s National Resources Conservation Service, Wrangler held a Land Stewardship Conferencefor students at its Greensboro headquarters. By investing in soil health, Wrangler is able to advance industry practices, reduce its impact and strengthen its supply chain. Wranglers parent organization, VF Corporation, is the world’s largest denim seller. It also uses approximately 1% of the cotton on earth.Cotton production has historically used massive amounts of water, as well as chemicals that harm the planet. Wrangler and VF are dedicated to using its scale and purchasing power to reduce the negative impact of the cotton industry. Championing issues that go beyond your brand or industry is an essential aspect of leading with purpose. In 2017, Wrangler started a sustainable cotton coalition. This group consists of companies, scholars and nonprofits dedicated to improving cotton farming. Partners like “ Cotton Inc., Soil Health Institute, the E3 growing platform, Field to Market, Texas Alliance for Water Conservation, The Nature Conservancy, North Carolina State University, Natural Resources Conservation Service, and others,” help Wrangler and the apparel industry shift towards producing more sustainable cotton. Their plain for 2020 is to work with its cotton farmers to help them implement these best practices across soil health, water management and more. Internationally, Wrangler is an active member of the Better Cotton Initiative (BCI). BCI works to improve environmental and social practices in global cotton industry. Wrangler and its cousin brand, Lee, augmented the purchase of BCI certified cotton from 700 MT to over 8,000 MT in just two years. What’s more, Wrangler and VF have set sustainability targets to decrease the overall footprint. By 2025, Wrangler plans to reduce the impact of its primary materials 35%. By then it will also ensure all non-U.S. or Australian cotton adheres to sustainability practices. Through such supply chain innovation, Wrangler is able to collaborate with cotton farmers to embed more sustainable farming practices. On average, it takes roughly 1,800 gallons of water to make a single pair of jeans. Wrangler is implementing water conservation technologies in its manufacturing plants. In fact, between 2007 to 2016 Wrangler reduced its water consumption by 3 billion liters and the brand’s goal is to cut back water use by 20% from 2012 levels at all finishing facilities by 2020. Wrangler reduces water consumption by implementing techniques such as changing the way it applies detergent in the finishing process. By making small changes in detergent application the brand was able to minimize water use by 28% in the finishing process. The jeans maker also uses efficiency measures like water pressure and fixture best practice. Wrangler is also working on water recycling and cleaning strategies like microorganism filtration. These practices have led some manufacturing facilities to be able to use roughly 45% recycled water. By addressing water use Wrangler is cutting back on supply side costs, advancing the industry, and providing for a better future. The blue jean industry’s dyeing process requires lots of water consumption and chemicals. Wrangler is leveraging its position to create innovative sustainable dyeing solutions. In partnership with Texas Tech University and Tejidos Royo, Wrangler is exploring foam-dyes with smaller environmental impact. What’s more, Wrangler is collaborating with Stony Creek Colors, which uses natural indigo dyes. Most commercial brands use petroleum-based indigo to reduce costs and increase scale. Alternatively, natural indigo uses plant-based indigo to create the classic blue jean color. Natural indigo can also be used in commercial dying machines, making it easy to incorporate into existing supply chains. Wrangler uses the Stony Creek Colors natural indigo in the 27406 collection and plans to explore further collaboration. Such environmentally conscious innovation not only improves its sustainability profile, but it also advances its brand image and bottom line. Wrangler’s commitment to sustainability is guiding the brand’s business and innovation strategy. In addition to current efforts, Wrangler has its sights on a circular supply chain. 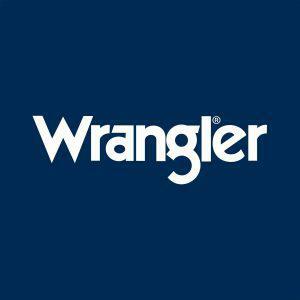 By innovating at scale, Wrangler is positioning itself as an industry leader and carving out a competitive advantage that will drive long term growth for the company in a marketplace that now demands truly responsible practices.